There’s nothing like a breath of fresh air, the scent of newly picked herbs, the taste of a juicy red and plump cherry tomato, and the sight of a rainbow of colors in a home-grown garden. When one lives where there is vast outdoor space for an herb and vegetable garden or a greenhouse, one can forget how precious the gift of nature is. The concrete jungle may be where dreams are made, but city- and apartment-dwellers often experience a lack of nature in their day-to-day lives. Without land to grow gardens on, how can one possibly create this connection in their own homes? 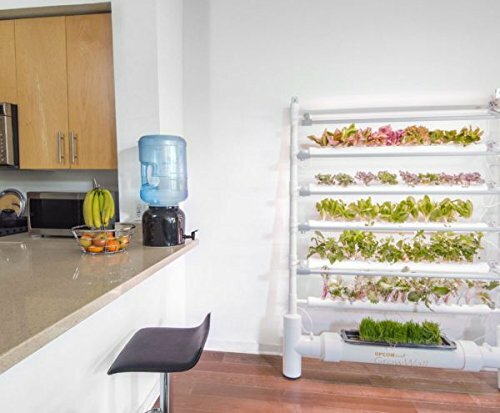 Hydroponics, aquaponics, and aeroponics are becoming popular ways to grow food organically and independently in one’s own home. Here are some great products for the novice to the expert home gardener. Make a unique display with these wall-mounted diamond-shaped vases. 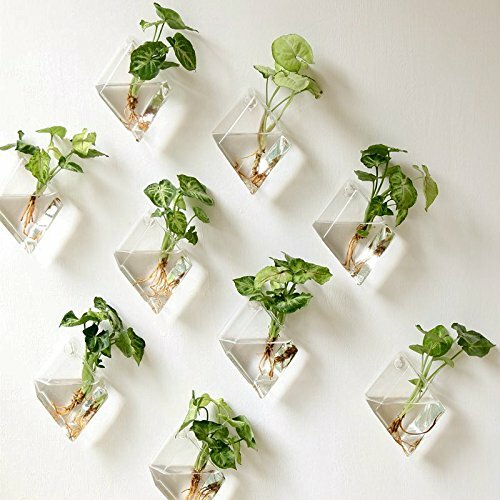 Bought in affordable 2-packs, several could be hung side by side to create a sort of living wall. Each vase can be used in any space in the home to beautify and freshen your home. 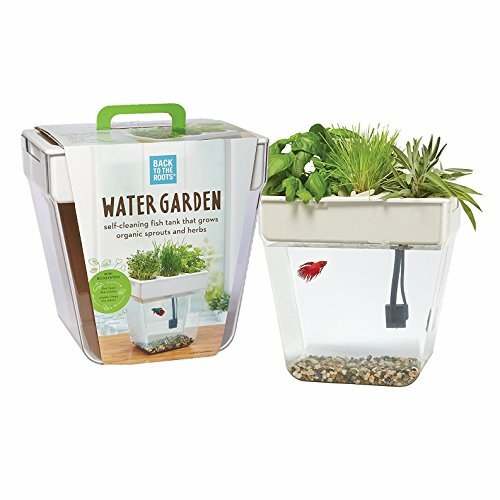 Don’t want to use them for live plants? 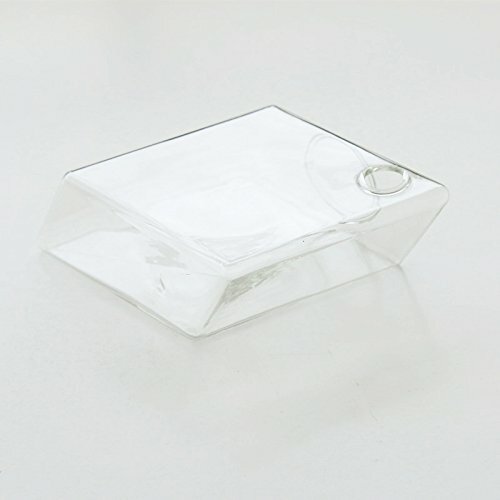 You can use them purely decoratively, but imagine using these high boron silicon heat resistant glass terrariums with visually decorative gravels or pebbles and an elegant air plant. 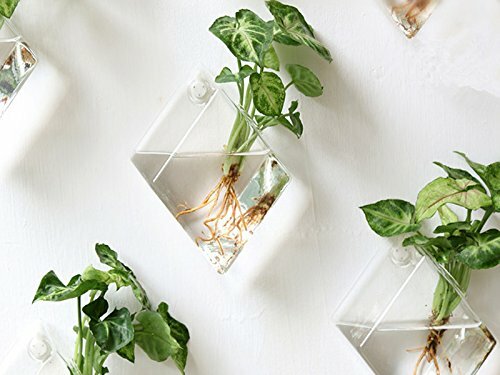 All the mounting hardware comes with the vases, and this is a fantastic way to dip your toes into indoor gardening. 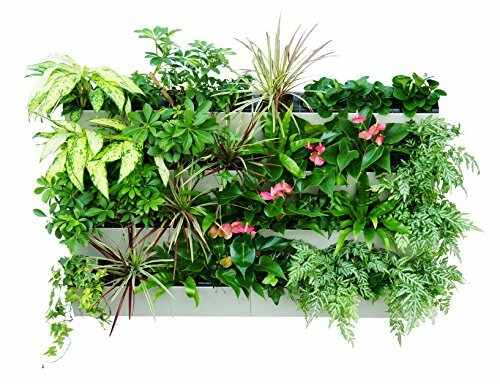 If you like to breathe truly fresh oxygen all year round, the Living Green Wall Planter by Delectable Garden is an affordable, easy way to keep your home’s air oxygenated and clean. You won’t believe the difference in how well you breathe. 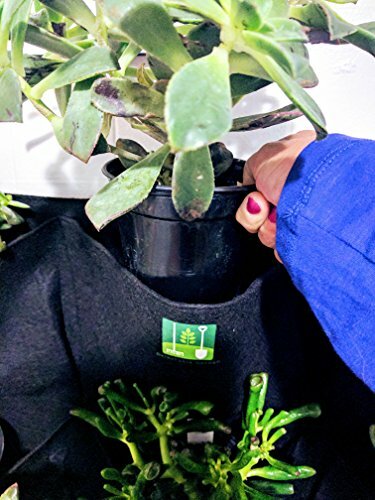 This simple planter contains twelve pockets, each of which can hold either potted plants or you can plant directly in the pockets. 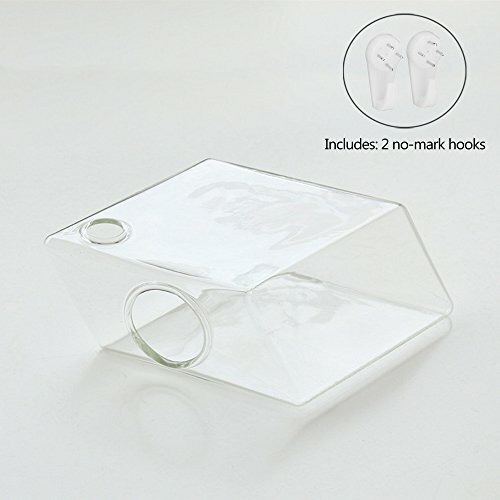 It is created specifically for indoor use, so it has a thick layer of waterproof plastic along the back and the bottom to minimize leaks and spills. 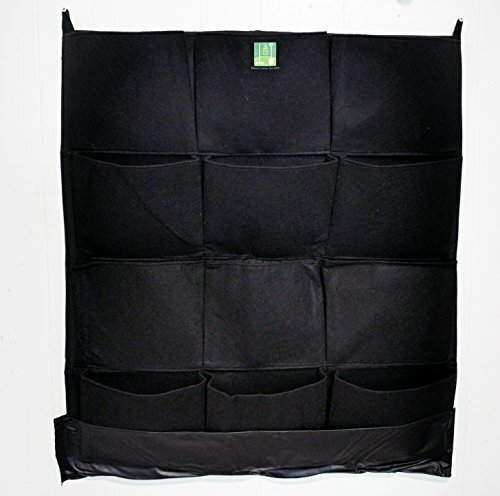 It simply needs a screw or two put solidly into the wall, maybe into a stud for extra security, though not required, and the two sturdy loops at the top will hold your new vertical wall in place. 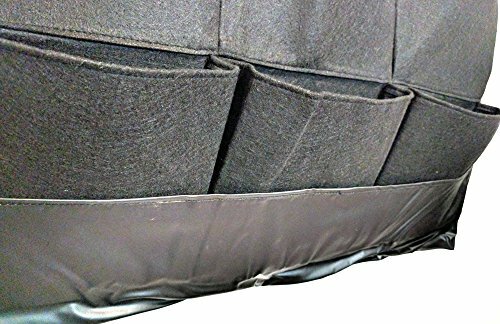 It’s even designed to be lightweight, and it is soft to the touch, feeling like soft felt. 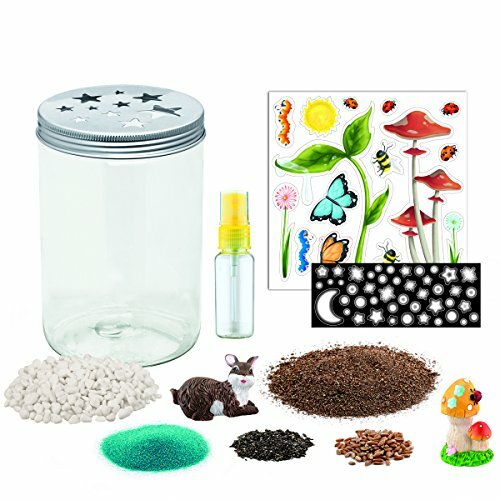 Environmentally friendly, this non-toxic product is even made from 100% recycled PET plastic bottles! 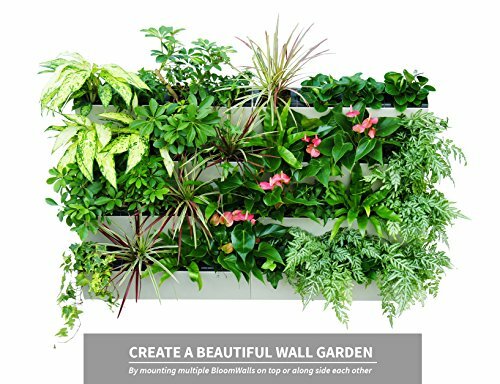 The Living Green Wall Planter is good for the beginner to advanced indoor horticulturalist. Designed specifically for indoors! 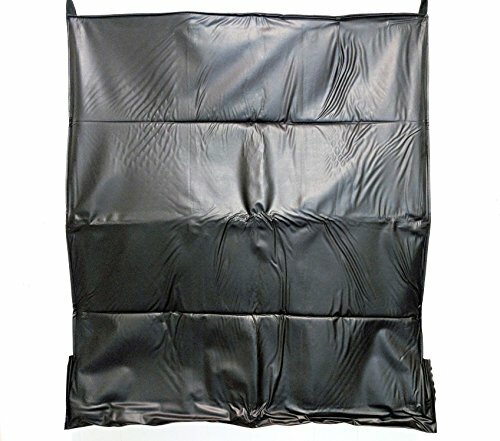 WATERPROOF Lined with thick plastic on the back and bottom to prevent leakage. SUPER easy! 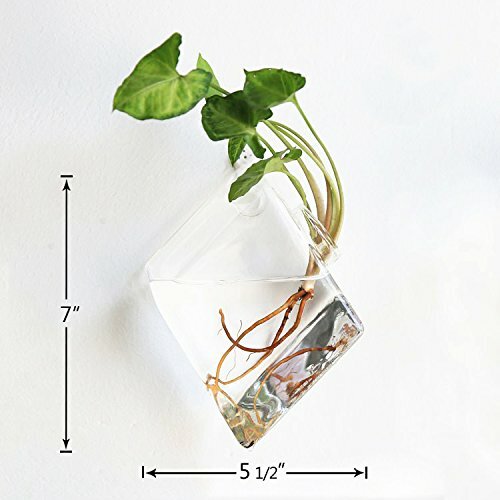 You can put plants in their pots right in the pocket, or plant directly in pocket. 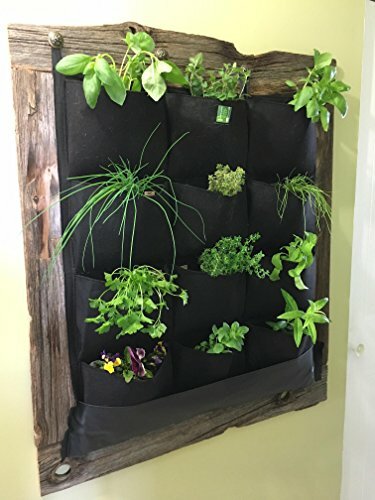 Want a living wall with a little more versatility? 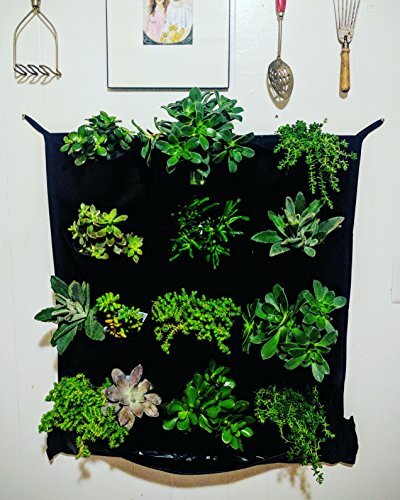 The BloomWall is the way to go. 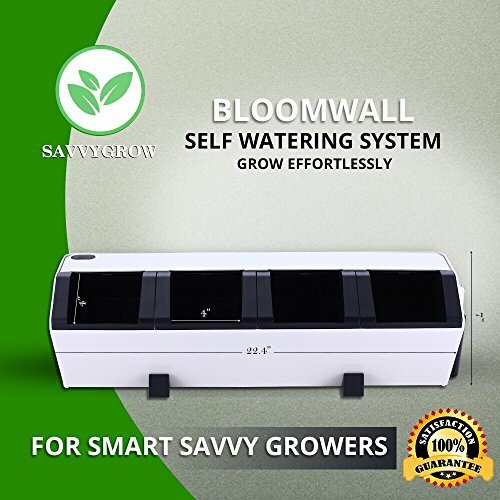 It uses what is called SavvyEdge technology, which basically allows you to set up multiple units into the wall of your design, and if they are all touching once another through the connector at the tops, bottoms, and/or ends, the whole system will function as one self-watering unit. 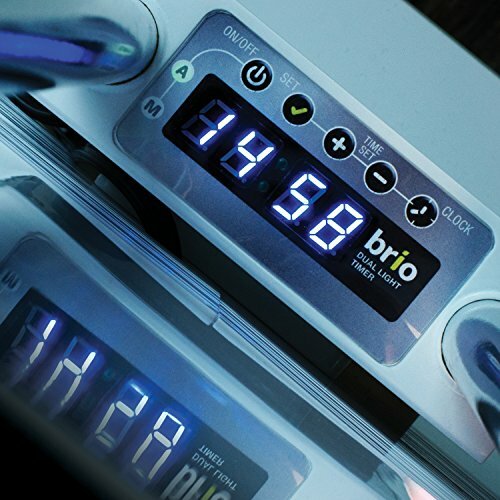 There’s a water level indicator to help you remember to keep it fully hydrated. 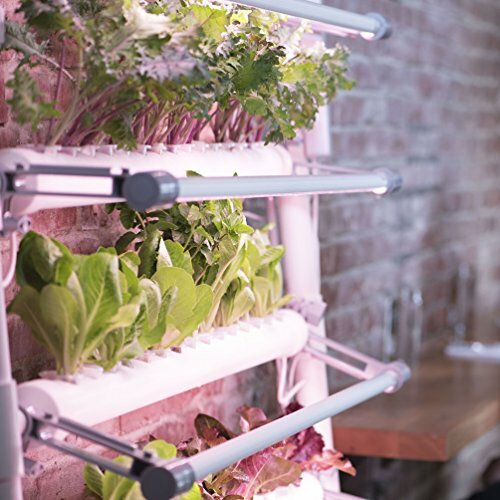 You can connect and expand the system and grow herbs, vegetables like kale and lettuce, and it will help create a healthier environment by removing harmful Volatile Organic Chemicals in the air. Finally, just when we thought it couldn’t get any better, it has a lifetime guarantee! 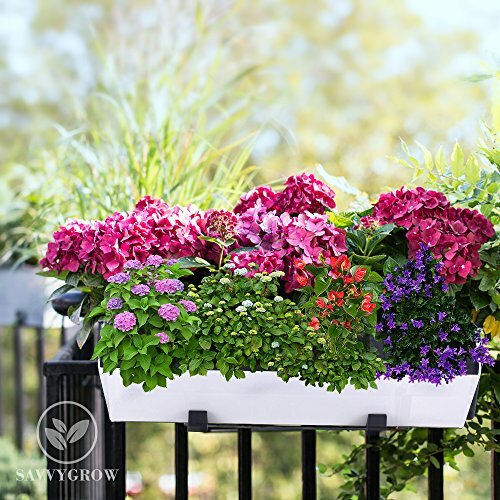 You can upgrade and purchase a plant rack that holds up to six planters and can be rolled around seamlessly, or extend even higher with the hanging bracket. 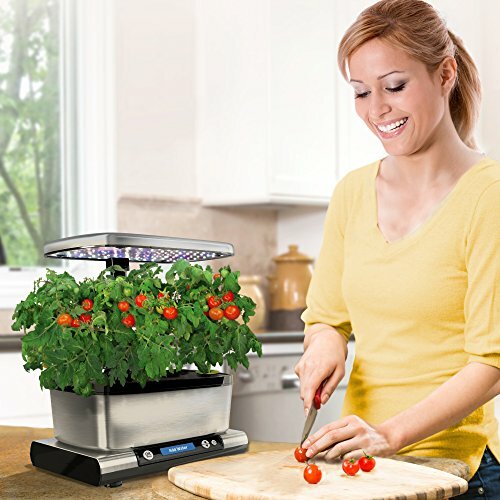 This system, which can be used inside or outside, is for the moderately practiced home gardener. 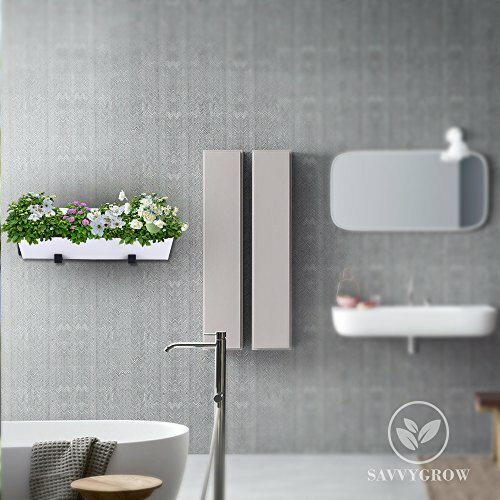 SAVVY EDGE TECHNOLOGY: Our hanging planters are engineered to provide the best solution most plant owners are looking for, which is a cutting-edge design self-sustaining planter that perfectly fits busy lifestyles. 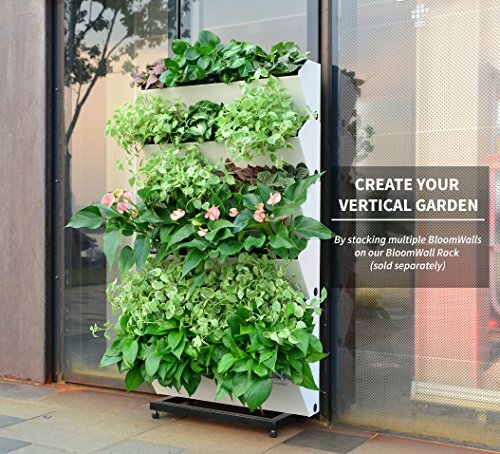 With our vertical garden planter, you can stack more, it is self-watering, and works as one system no matter how many BloomWall you have. Maybe a whole living wall is a bit too much for some. 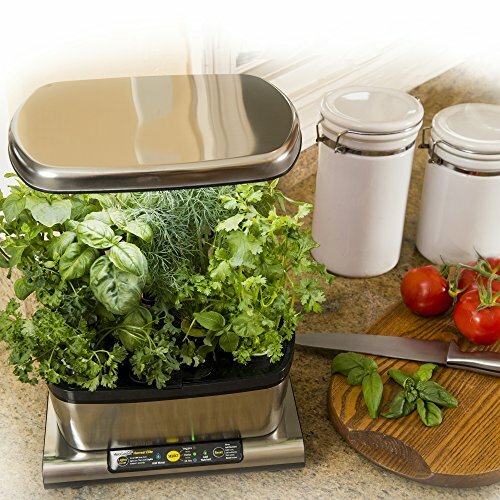 Let’s explore a couple of countertop herb garden options. 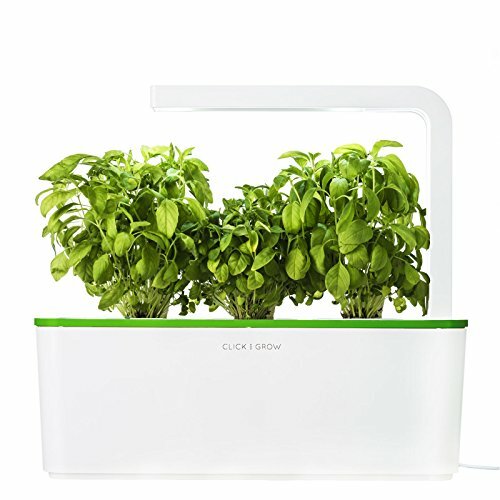 The first one we’ll look at is the Click & Grow Indoor Smart Fresh Herb Garden. 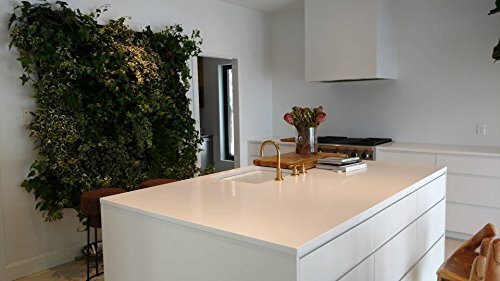 From a purely aesthetic perspective, I like the lime-green option, since it matches so nicely with the plants, but the subtle accent color comes in orange or just the basic white as well. 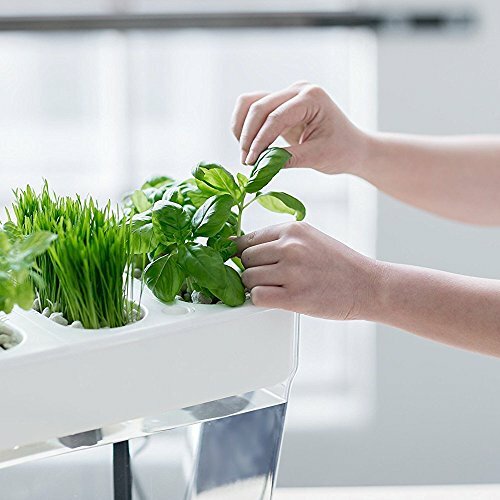 Countertop herb gardens are perfect for consumers who want that fresh garden look, feel, and convenience without all the work and commitment. 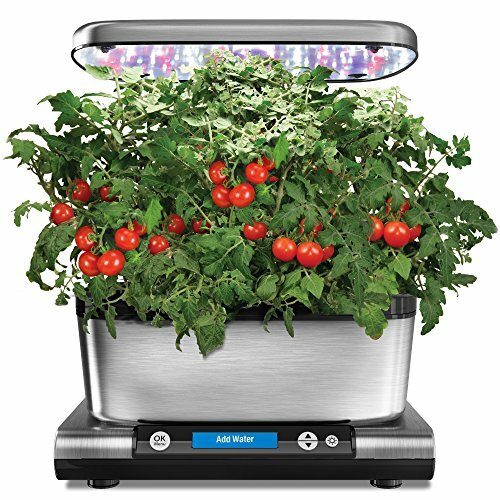 With the Smart Fresh, you can grow anything from basil to chili peppers, tea, cherry tomatoes, and flowers all year round. 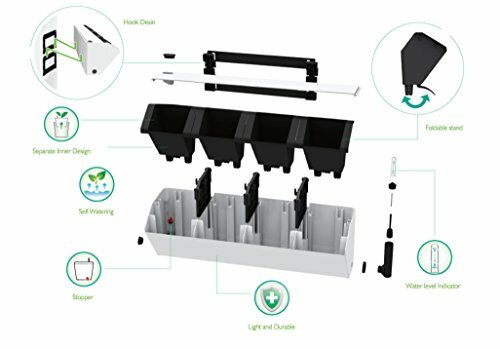 It’s an easy three step process to set it up: insert plant cartridge, fill the water reservoir, and plug the Smart Fresh in! 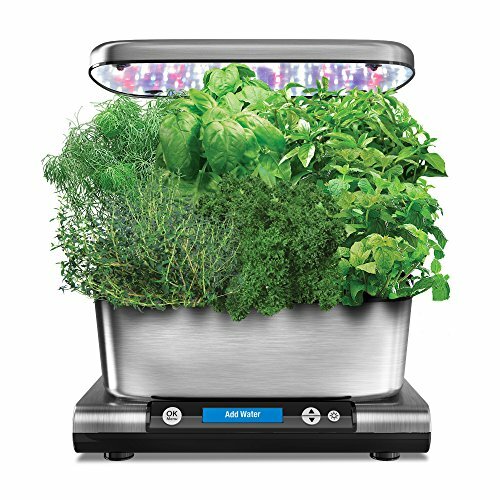 It allows you to grow organic and pesticide free herbs, fruits, vegetables, and other plant matter. 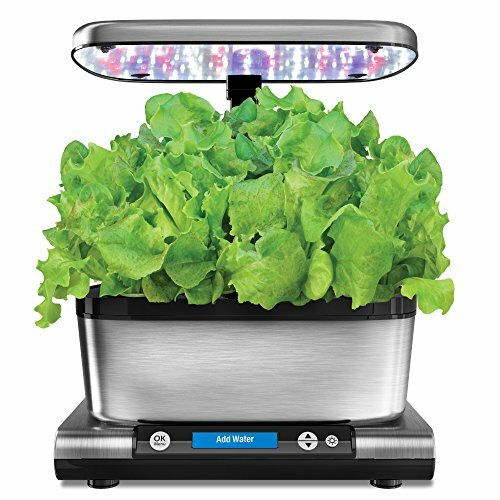 It is energy efficient, using LED lights to help your garden grow, and the Click & Grow Smart Soil technology gives the plants the just right amount of water, oxygen, pH, and nutrients. The company even backs it product with a 30-day money back guarantee and a 100% replacement warranty. This is even a great way to include the kids in learning about healthy living and eating, and, don’t tell them, but maybe even a little science! This is for any level indoor gardener. Want to stick with the countertop options, but still want something a little more powerful? 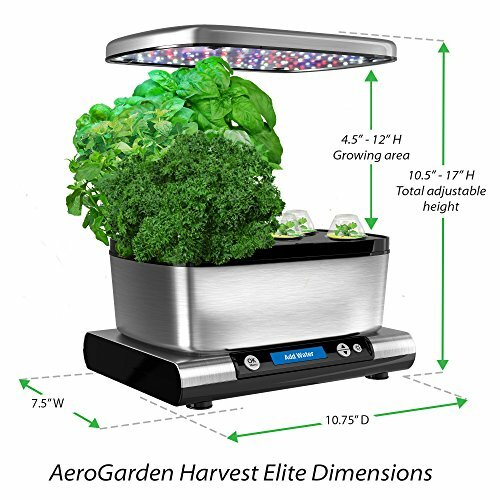 That’s when you go for the AeroGarden Harvest Elite. It just sounds epic! 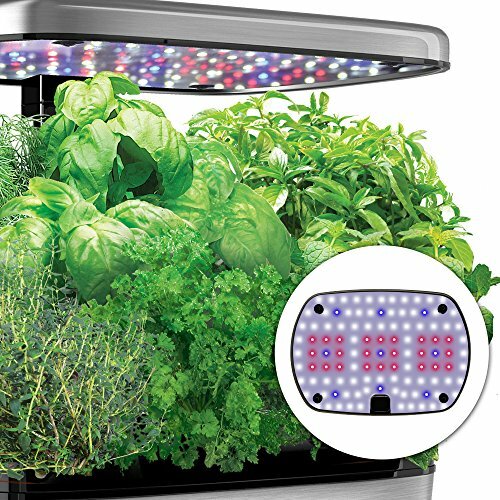 This garden can support up to six different plants at a time, and just as the Click & Grow does, it utilizes an LED light system to maximize photosynthesis, expedite growth, and result in abundant harvests. The primary difference between these two countertop gardens is the method of growth they use. 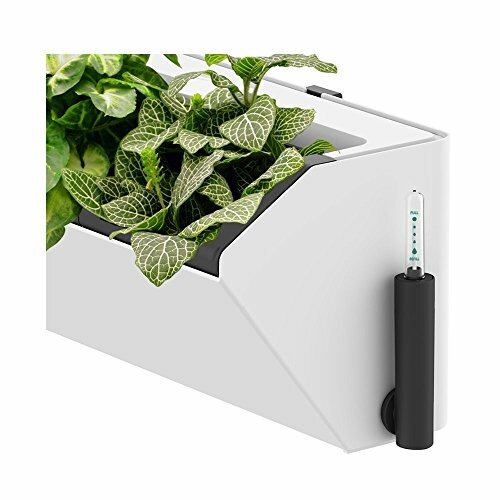 The AeroGarden uses hydroponics, meaning, in the most basic terms, the plants grow in water and not in soil. They do require nutrient supplementation, but don’t worry, because the control panel at the base will tell you when and when to add water! Oh, did I mention that it comes with enough seeds and nutrients for a full season of growth? And just like all our other methods of growing our own food in our homes, the bounty is non-GMO and without herbicides or pesticides. Knowing where your food comes from is such a relief! 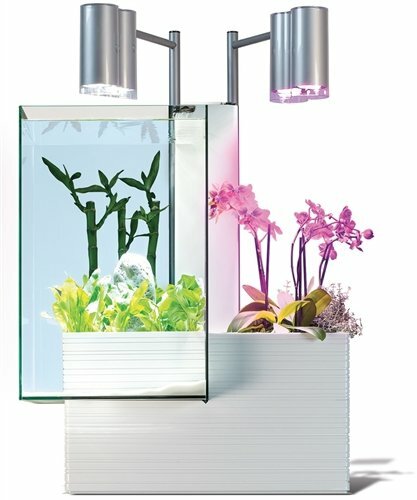 Up to 6 plants can be grown at a time. 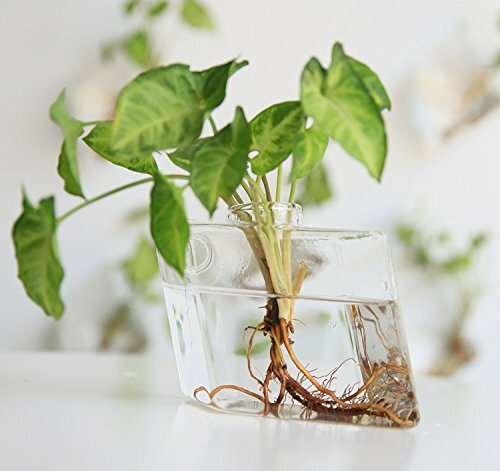 Plants grow in water...not soil. 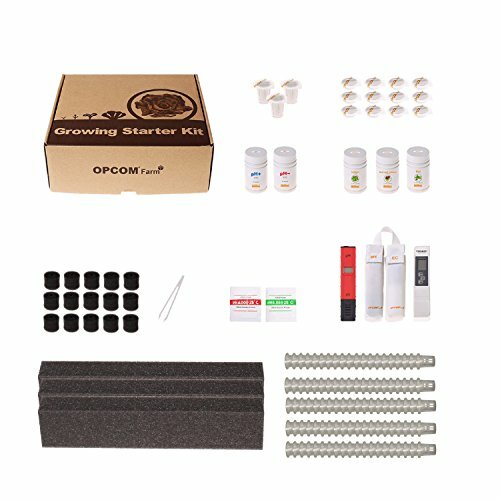 Advanced hydroponics made simple. 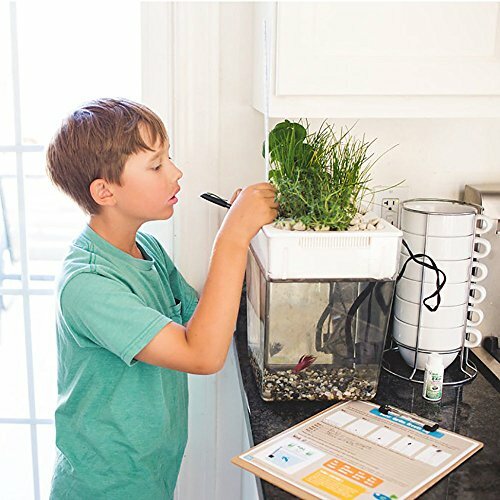 If your kids are getting too enthusiastic about helping with the new indoor garden, and you just want to give it space to grow, why not get them their own garden, of sorts? 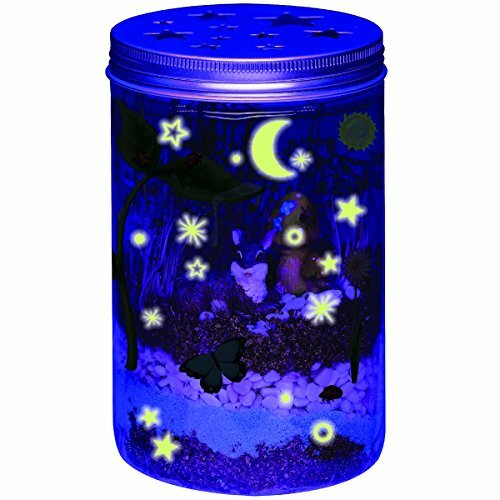 With the Grow ‘N Glow, your child can craft, plant, water, and grow their own habitat. 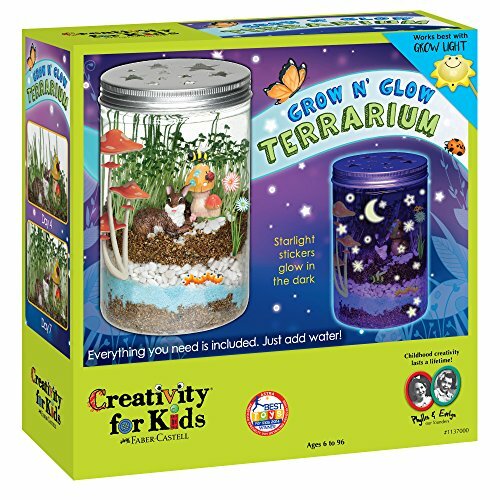 The set comes with everything needed to create a terrarium with real wheatgrass and chia plants and all of the essentials to make it look colorful and kid-friendly! 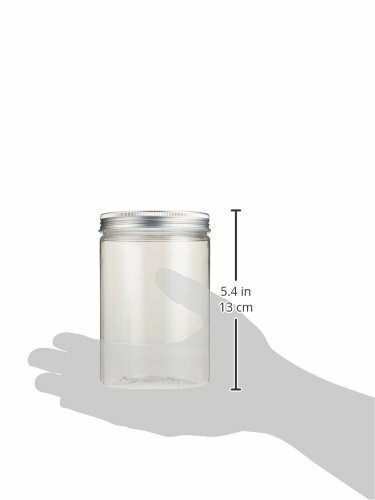 It even comes with glow-in-the-dark stickers to attach to the mason jar container so the child can enjoy their garden day or night. 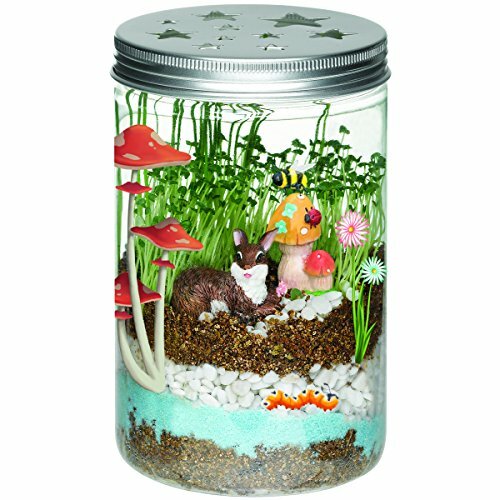 A fantastic educational way to entertain your child’s natural sense of wonder and develop the sense of responsibility that comes with keeping the plants alive, your child will want multiple sets, so stock up! 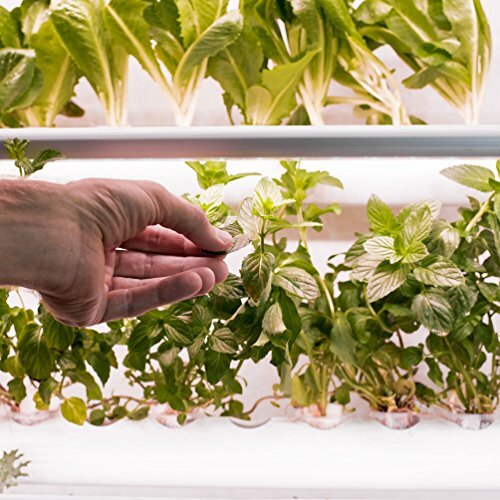 Alright, so you’ve tried your hand at several different types of indoor gardening, and you’re ready to settle on hydroponics methods. 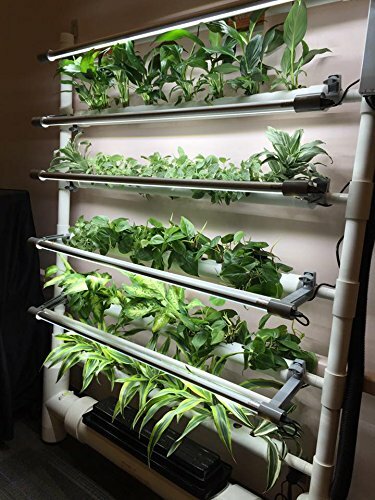 You’d really like to expand your yield and grow your own produce on a regular basis, maybe even share with friends and family some of your bountiful harvest. 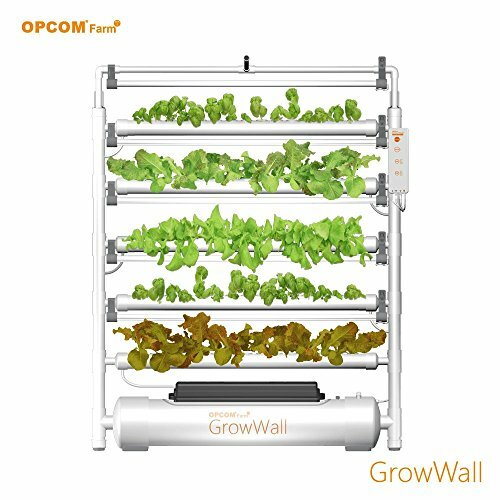 For a solid investment, you can have the GrowWall Indoor Garden & Farm, a high capacity vertical system that will only require minimal space. 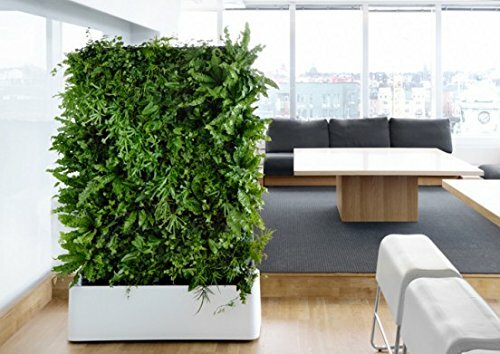 It holds 75 plants, and spans a height of four feet. 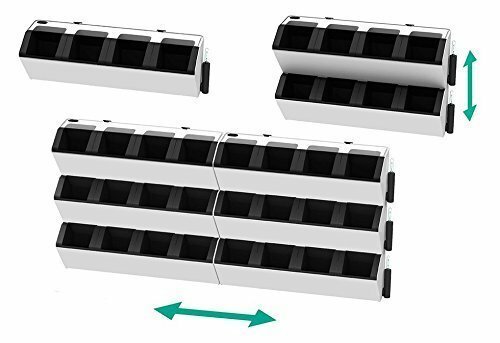 It contains angle and height adjustable grow lights along this height to maximize growth efficiency as well, which is a definite step up from our earlier hydroponic products. Finally, the Auto mode manages the light cycle as well as water usage. You can’t go wrong will this monster of and indoor garden. This one designed is for an experienced horticulturalist. Now, surely, you’ve been thinking to yourself, “How will I ever decide what to buy between so many unique concepts?” Well, these last two products on our list are sure to blow your mind. 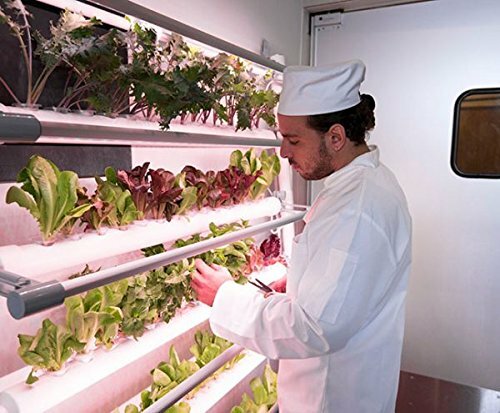 They utilize aquaponics, which is the joining of aquaculture, or fish farming, with hydroponics, which we’ve already covered. By creating a closed-loop ecosystem, we can have two living things share a symbiotic relationship. 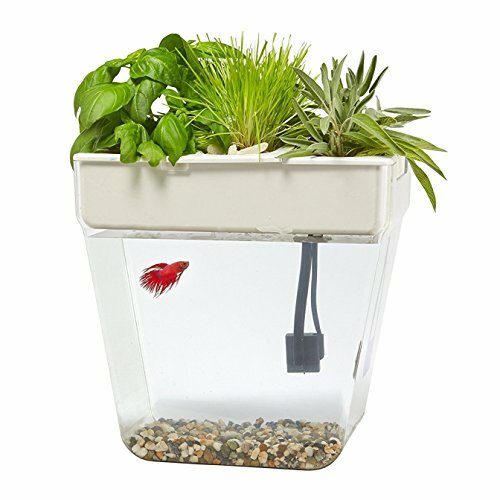 The bottom of the Back to the Roots Water Garden is a small three-gallon fresh water fish tank that will contain a single betta fish. Bettas can only be housed individually, or they will fight each other to the death. 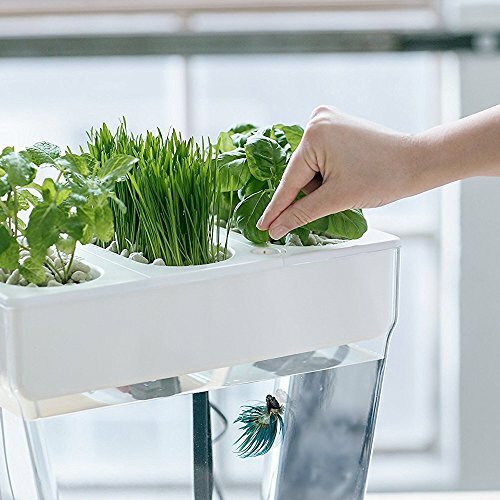 Atop the tank is a reservoir containing your water and herb garden. The ammonia-rich waste excreted by your new friend is absorbed by the plants, and this even causes them to grow twice as fast. 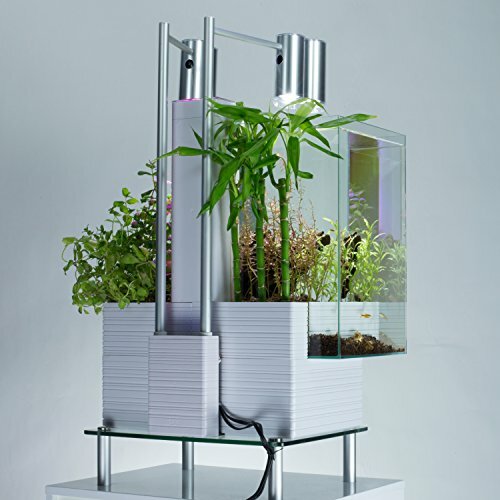 The clean water from the plants are cycled back into the tank by way of the included submersible water pump. The cycle repeats, and the two organisms support each other. 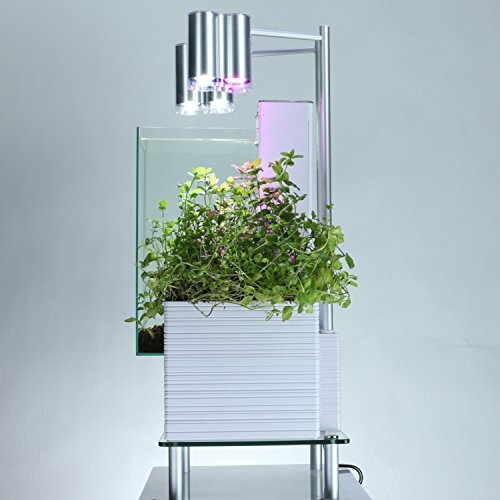 This product was a successfully funded Kickstarter campaign, and their Grow One, Give One! Program is helping to bring these incredible ecosystems to classroom everywhere. Teachers can even access a curriculum to use with the product. 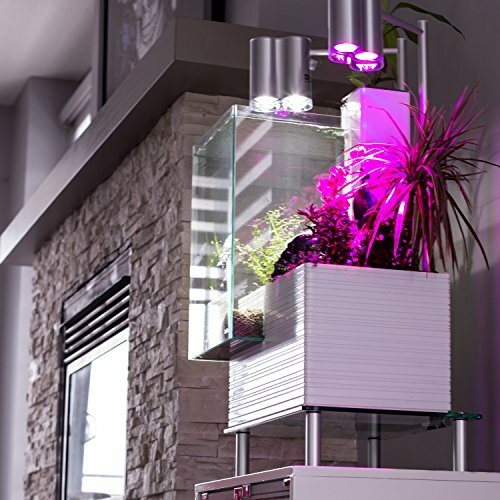 Just as I’ve done with each of the other types of products, I’m going to offer an amped up version of the aquaponic indoor garden. It will most likely make you want one now, and will be a great way to leave you thinking about indoor gardening options. The first two things you may notice is are size and its aesthetic appeal. 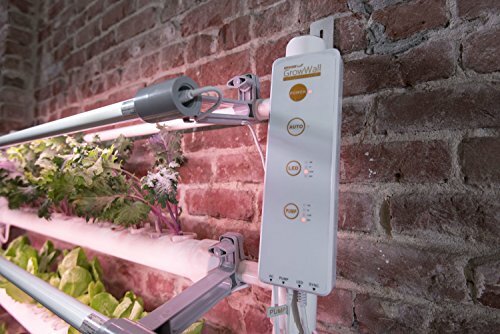 It comes with a circulating pump, and a programmable lighting system that allows you to set separate timers for water maintenance as well as working with the herbs themselves. You’ll need to get you own fish, decorations, and accessories. 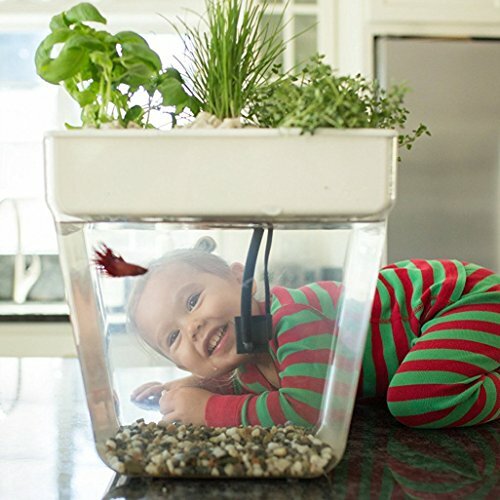 For advanced home aquaponic gardeners.